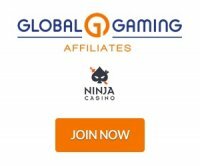 Partnerama Affiliates is the affiliate program for Dr Vegas casino offering generous revenue share commissions. A CPA plan is available as well as a 5% sub affiliate program upon discussion with your affiliate manager. Payments made by the 15th of each month via wire transfer, Skrill or Cheque. There is no negative carry over however balances under £50 will be carried forward until the minimum has been achieved. There is no negative carry over. Dr Vegas games include slots, table games, live casino, blackjack, roulette, poker, baccarat, live roulette, live blackjack and live baccarat. Partnerama Affiliates has a number of marketing tools available to help promote Dr Vegas such as landing pages, banners and text links available in sizes to meet your specific requirements. If additional materials are required contact your affiliate manager who will be pleased to assist you. Detailed reports are available through your account backend where you will be able to see how well your materials are performing and revenue earned. Dr Vegas has almost 150 games by software providers such as Play'n GO, Bally Technologies, NYX Gaming, Leander and Dr Vegas Games. Dr Vegas has very generous promotions including an impressive £2,200 in free bonuses for new players after their 5th deposit.